Non-fatal injuries like trips and falls are one of the major cause of number of absent days. Therefore, special consideration must be given to preventing slips. This can be done by complying with the OSHA requirements —keep your workplace orderly and in a good sanitary condition. Make sure the floors are dry and there is a stringent plan to deal with the spillages immediately. The floors, tools, and machines must be well-maintained. The traffic areas should be free of obstacles. A skid-free floor must be installed. All the surfaces should be kept clean. Inspection of the machines and the tools must be done periodically to make sure that the employees are safe when handling them. The management must assess the risks in the industrial settings and then take measures to overcome them. All the things that might cause harm to the assets and the employees should be listed down. A good way to that is to walk around your facility and note down the hazardous substances and then note down the level of risks. Proper guidelines should be followed when the employees are working at height, electrical equipment, and harsh chemicals. Workplace health and safety is extremely crucial. It is the basic right of the people who interact with your industry daily. At Extra Hands Services, Inc., we realize the significance of health and safety in industrial settings. 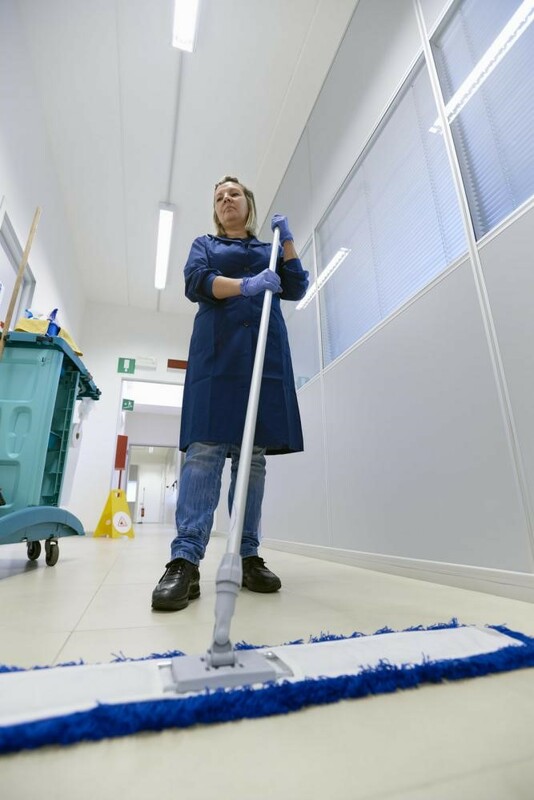 Therefore, we provide a range of customizable high-end janitorial and cleaning services to various industries. You may call us at 816-994-8825 and talked to our experienced commercial cleaning expert to meet the industrial cleaning standards.